One of the privileges of a faculty position at a Canadian university is the interaction one has with undergraduate students. In my case, I co-teach a class where we take students on a seven-day tour of livestock operations across Western Canada. 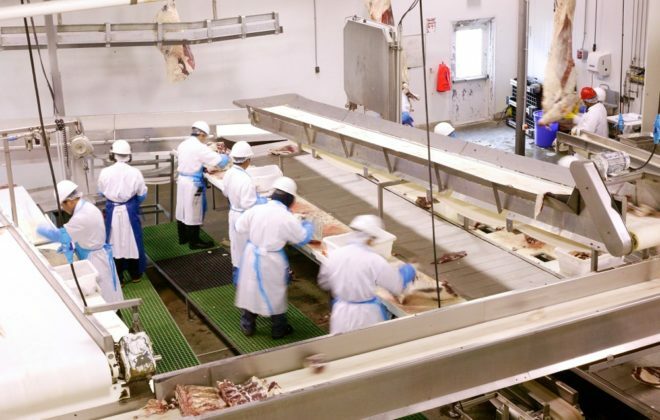 We cover everything from hogs to dairy, bison, chickens, meat and milk processing, and specialty livestock. Along the way, we meet some great individuals and see some unbelievably innovative operations. This year, we had a cancellation on the final day of the tour. To fill this hole, I called Brian Weedon, a long-time rancher in the Swift Current area. Weedon couldn’t accommodate a tour, but he made arrangements for us to tour the Matador Community Pasture. 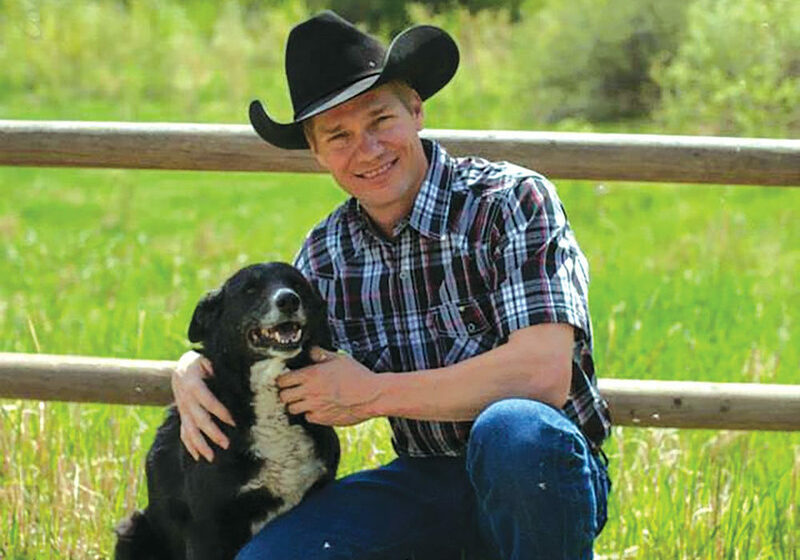 These arrangements included tour guides Jeremy Simpson, manager of the Matador, Ed Bothner, a rancher whose land borders the pasture, as well as Weedon and his wife Glenys. What unfolded was a remarkable educational experience, as the students not only got to travel the pasture and explore some of the last vestiges of native grassland in the province, but also had the opportunity to learn some of the history and value of this unique resource from individuals whose lives have been shaped by it. 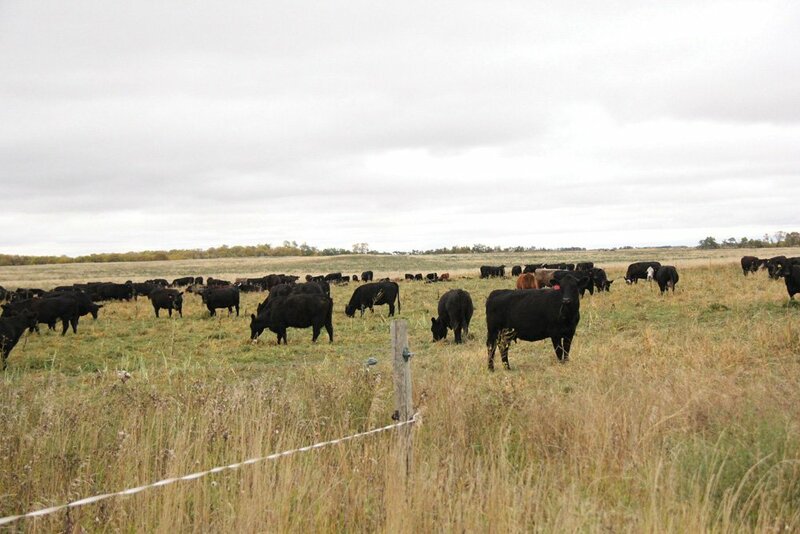 The Matador Community Pasture has been operated by the Province of Saskatchewan since the early 1920s. 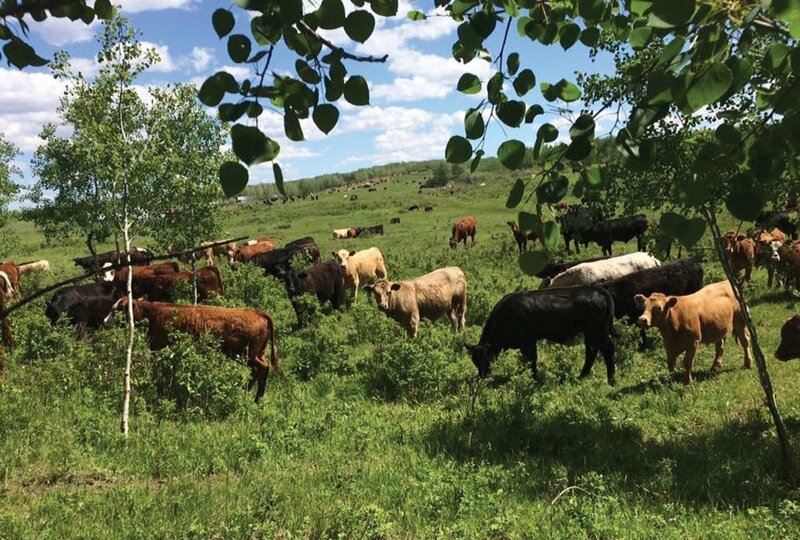 It continues to serve as a grazing resource for cattle producers to this day, although management will transition as the province winds down its community pasture program. The Matador’s history goes back to the early 1900s when it was the northern arm of the Matador Land and Cattle Company, based out of Matador, Texas. 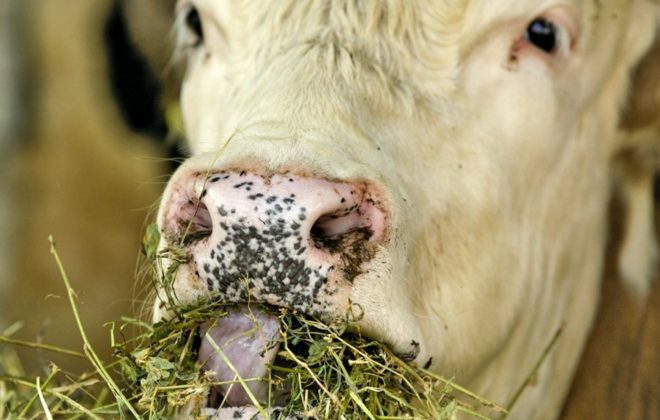 The company, which had ownership interests in Scotland, fattened American cattle on grass in Saskatchewan and then shipped them to markets south of the border. According to our guides, these cattle were known as “beeves” and ranged from two to five years of age. The Matador Land and Cattle Company ceased operations in Saskatchewan in 1922 for reasons I will come back to shortly. At this time, the Saskatchewan government took ownership of the land and established the first community pasture in the province. What made this stop on our tour so special was the opportunity for the students to hear and learn from our tour guides. 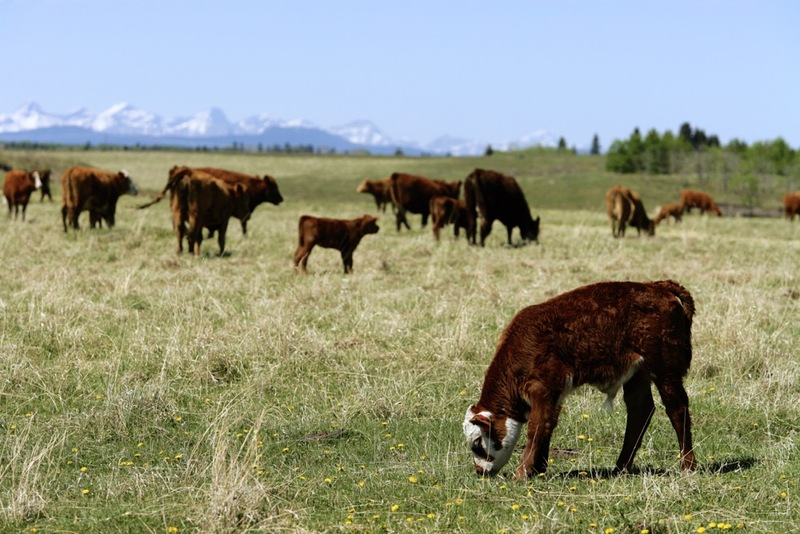 Both Weedon and Bothner are not only long-time ranchers but they have both served their industry through numerous avenues including as president of the Saskatchewan Stock Growers Association. Simpson, the pasture manager not only provided the students with an overview of the pasture but also gave them a glimpse of the working life of a modern range cowboy whose activities still include fencing, checking, moving and treating cattle on horseback (with the aid of modern antibiotics and delivery systems and cell phones) as well as keeping a keen eye on the condition of the pasture in order to prevent overgrazing. All three of our guides were focused on providing us with an introduction into the beauty and value of native grassland for raising beef cattle. The timing of the tour was late August so the majority of the native species had gone to seed; as such identification was difficult, but our guides were keen on showing us the shrub “winterfat” as well as explaining its ecological importance. 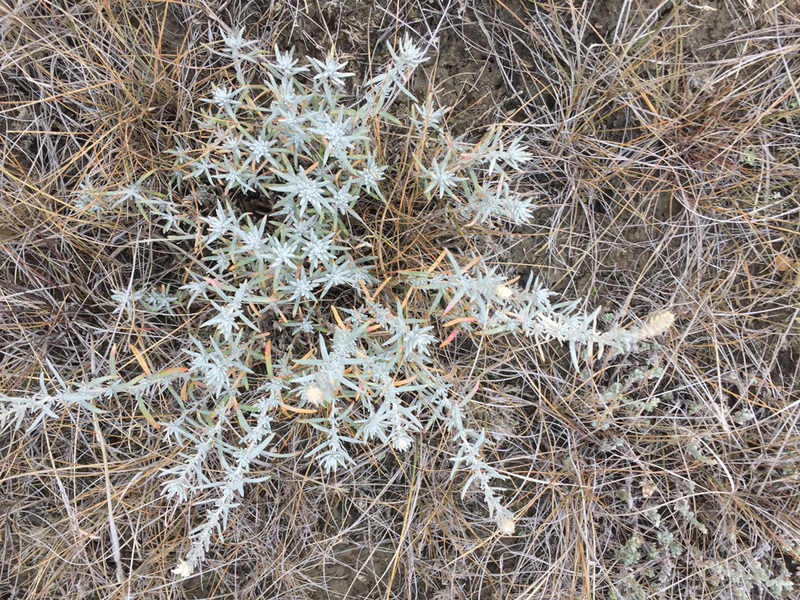 This plant, native to Western Canada looks very much like native sagebrush. However, as our guides pointed out, one can quickly tell the difference by rubbing the plants between your hands. If you are dealing with sage, you will note its characteristic odour, while winterfat is odourless. Our guides also indicated that winterfat has long been recognized by Native Americans and cattlemen for its value as a late-season shrub for grazing. 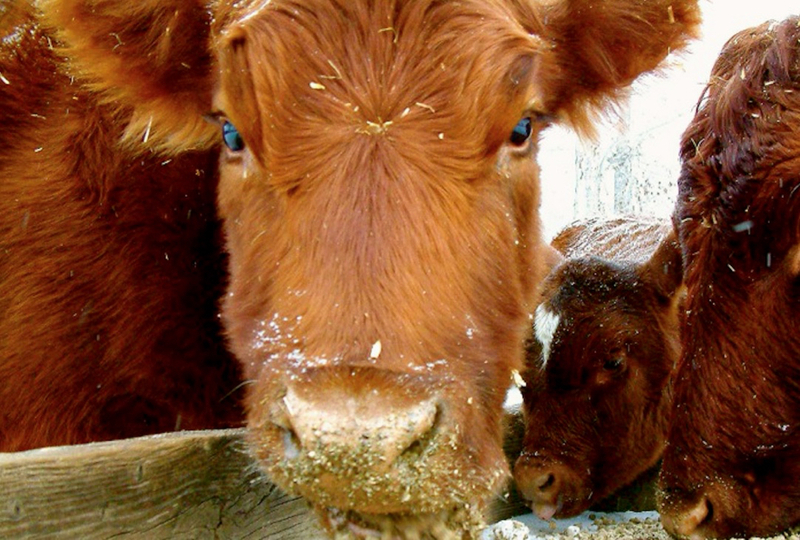 This “local knowledge” stored in the collective memories of producers has been scientifically documented by the research of Dr. Mike Schellenberg of Agriculture and Agri-Food Canada in Swift Current, Sask. 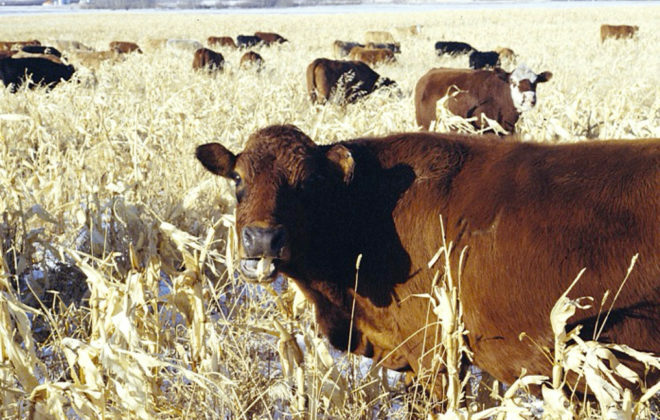 Schellenberg’s research has shown that winterfat is an excellent protein source for grazing cattle as it maintains its leaves late into the fall and early winter. This stop on our tour certainly reinforced for me, and I hope for the students, the majestic beauty that abounds in our native grasslands and how important this resource is, not only from a rancher’s perspective but also from that of the wildlife that depend on its preservation. In researching this article, I also believe that our current politicians can learn from the history of the Matador. For example, according to a M.Sc. thesis published in 1951 by A.E. Cornebise of Texas Technical College, the demise of the Canadian arm of the Matador Land and Cattle Company began in 1921 when the United States placed tariffs on Canadian cattle that ranged up to 43 per cent of their market value. 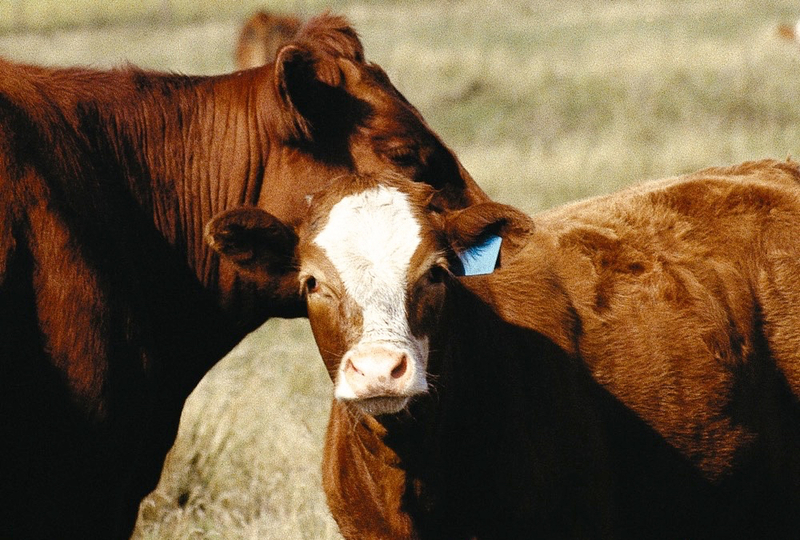 According to Mr. Cornebise, these tariffs had a chilling effect on the international beef trade and resulted in the Matador Land and Cattle Company pulling back from its Saskatchewan operations. Hopefully, those in Ottawa and Washington negotiating our current trade relationship realize the importance of a free and open border and that we don’t repeat the mistakes of the past.